I made this key chain using an old game piece tile (Rummikub). 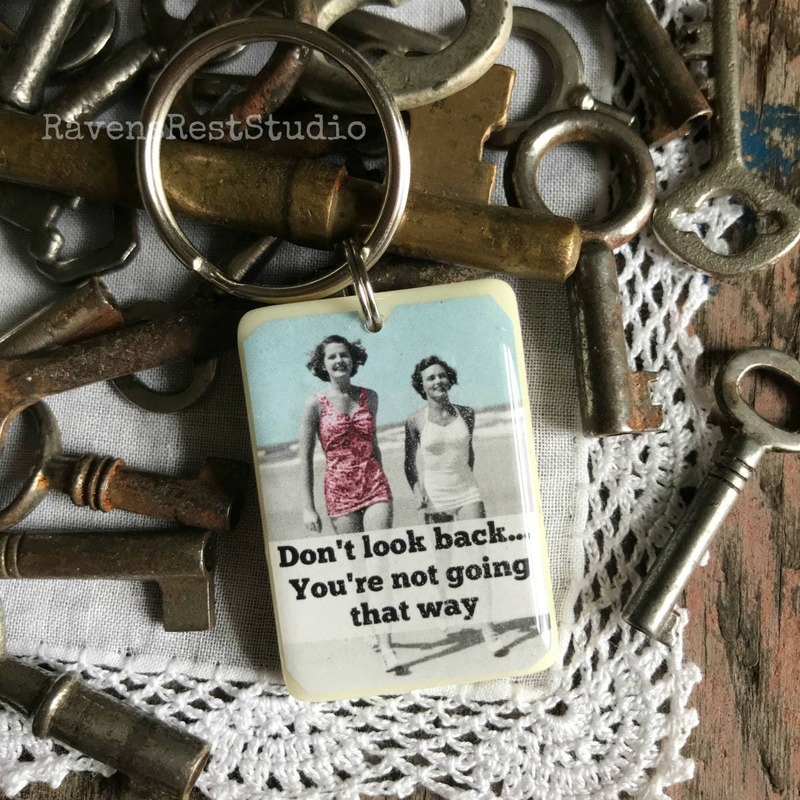 This one features an image of two vintage women walking on a beach and reads: "Don't look back... You're not going that way", and is sealed with a thick, glossy coat of resin. 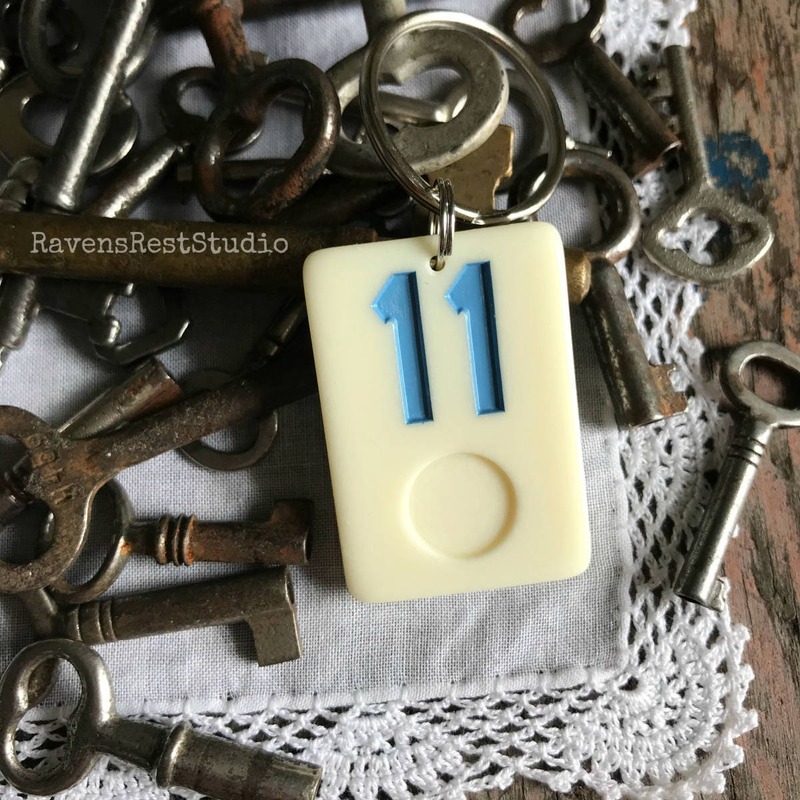 This key chain has a blue number 11 on the back and measures 1 inch by 1-1/2 inches.